When I was younger I fell in love with a man, not in a gay way but as a hero. 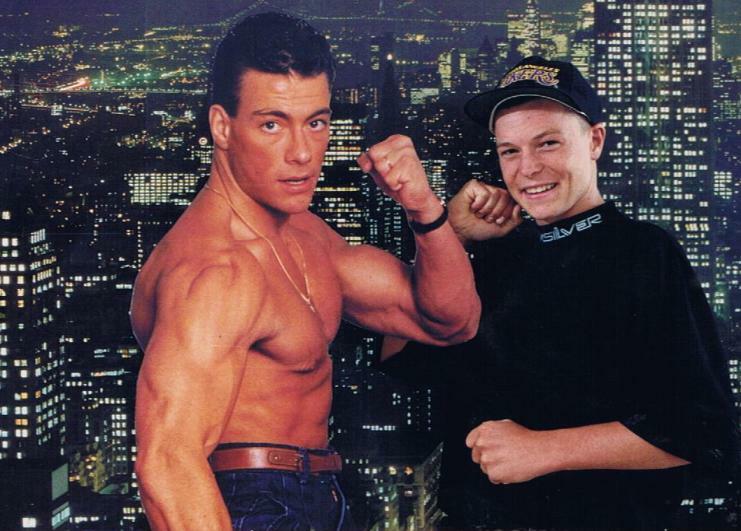 His name was Van Damme and the movie Kickboxer just came out, this was one of the greatest movies ever produced in the eyes of a 13yo. 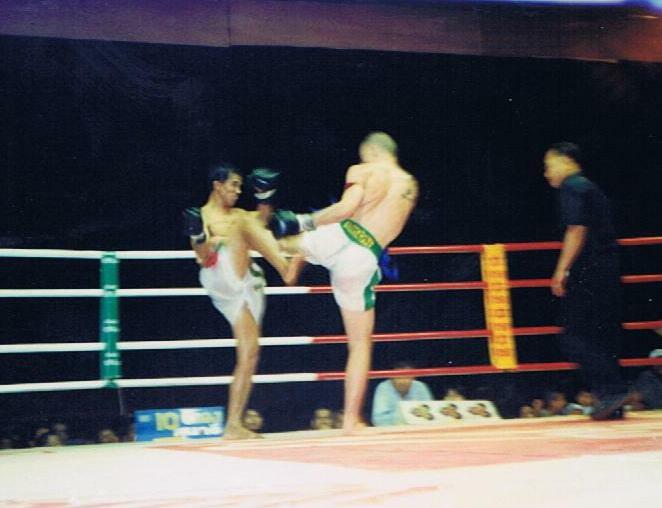 I was already into martial arts training taekwondo but I was in between sports and just started Muay Thai. 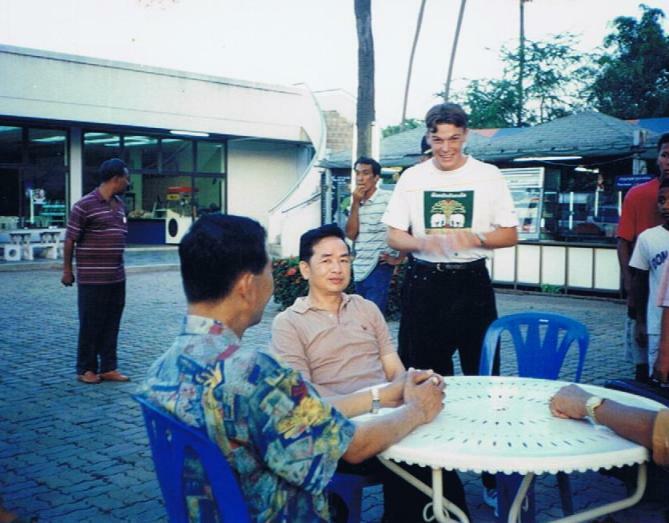 Here was a story of a farlung that went to Thailand, took on the best and won. 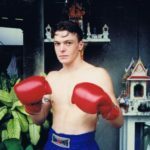 Because of this movie I set my goals high, as a 13yo I wanted to be a world champion (like every other kid on the block, what made it a little harder was I wanted to win world title in Thailand to make it as real as possible (I ended up winning two in Thailand). 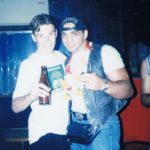 At the age of 14yo I had my first fight in Sydney, I fought a kid my age but the difference was he had a moustache, I pooed myself a little as he already had muscles on muscles. I had a good crack but lost of points. The crowd gave us a big round of applause as I made my way back to the change room and that was better then winning. 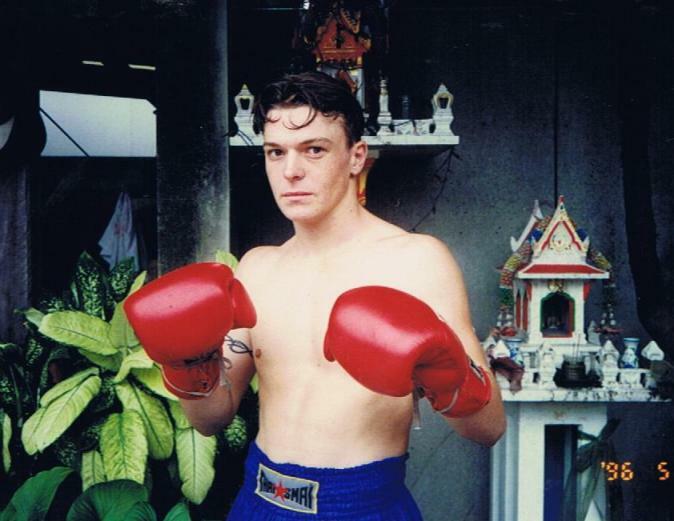 I started winning a few fights and won a few titles, I moved to Thailand aged 19 and started to train in Pattaya. After 2 months training I finally got my first fight, against a Thai, and with elbows for the very first time. 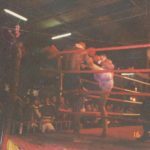 This was a small outside promotion and I was the last fight of the night, a I was making my way on to the ring a Thai man whispered in my ear, if you knock him out with a elbow I will give you 1500 baht. I was quickly running out of money so this sounded like a fortune. 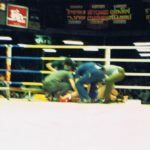 As you could imagine I chased the Thai around the ring throwing nothing but elbows, round 4 I finally caught him as down he went. I ended up fight of the night, instead of a money bonus or a big trophy for best fight, I won a fan ha ha. Sounds funny but that fan was the best thing that could of happened as it kept me cool when I slept for 4 years. 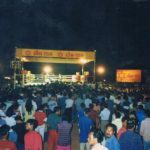 The locals Thai’s were excited Songchai was having a big open air promotion that was free just down the road on the beach, all the best Thai’s verse the best fighters in the world, Stan the man, Danny Bill, Ivan Hippolyte, Sangtieno Noi, Sakmongkol. We went three hours early just to get a good seat. When we got to the venue I met Songchai for the first time. who would of thought I would end up being his fighter. 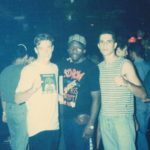 The show was amazing, at one of the clubs I met Stan for the first time and Danny Bill, I was guilty of being like a little kid being a fan but who cares, these men were living gods. I moved to Sangtiens after 3 months to go train at loomingkwan, now I was in Bangkok, 3 people spoke English in the whole area, I couldn’t speak Thai so now I was in the d eep end. 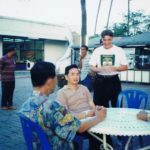 I started to pick up the language and the Thai’s in the area started to get used to seeing a white guy in their in the neighborhood. 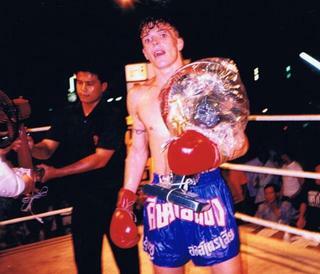 I had 2 fights in Pattaya and had 2 for the new camp, one of the Thai’s in the crowd seen my last fight and was saying I was nothing, my Thai trainer heard this and said you want to fight him then? let’s put a 20,000 baht on each. I ended up stopping him in the 4th and the camp was happy because I made them some money, I got 10% tip of the bet money I won an I felt I was finally one of the boys. 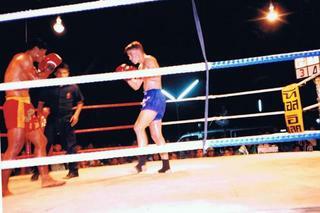 In 1997 is when I started fighting for Songchai. 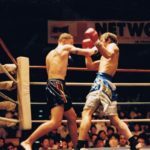 I fought a guy from Maungsarin camp and the trainer was pissed, he was yelling at his boy “why couldn’t you beat him, he is easy, I could even beaten him”, Songchai over heard and said I can arrange it if you want? 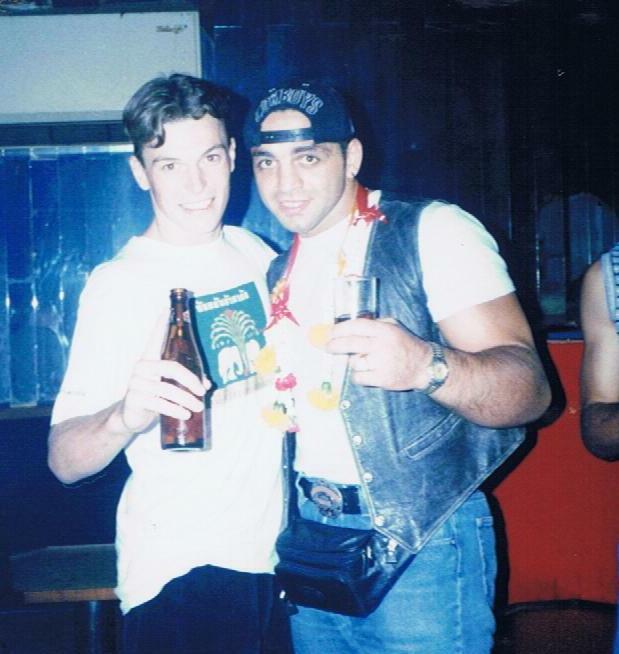 Next thing you knew i was booked to fight this great champion from the Maungsarin camp, he hadn’t fought in a few years but his fight name was “break hell with punches”. 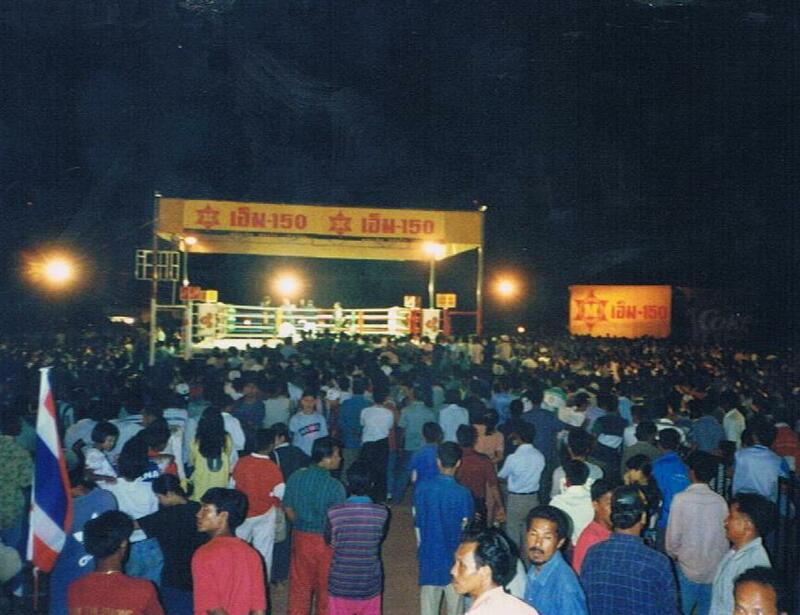 It was another open air event and I stopped him in the 3rd in front of 50,000 people and my first fight on Thai tv. 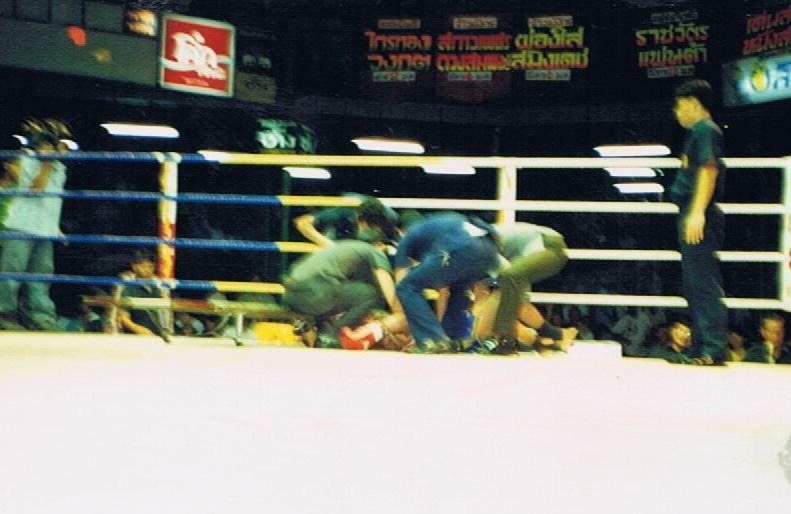 Few more fights and I had my first fight at Lumpinee stadium, the Mecca for any fighter. 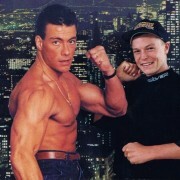 I was walking around 76 and had to fight 66kg. I was slow the first round but once the crowd started cheering I ended getting my second wind and stopped him in the 4th. 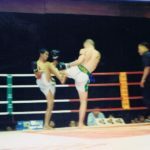 Next fight was my third fighter from Maungsarin camp, they really started to hate me now because I knocked out their next fighter in the 2nd. This was my 9th straight in in Thailand and my 4th time on Thai tv. 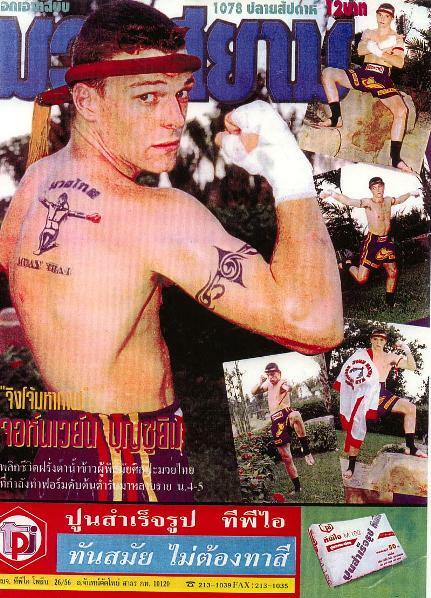 I was now rated 4 at Lumpinee stadium at 147 and they put me on the front cover of Muay Siam magazine. My first cover was in Thailand and I went and bought 15 magazines. I would drive past book stores in the bus and see the magazine hanging up thinking “I am the luckiest fighter in the world”. Few more fights for wins and losses, I started making waves around the world and Japan was calling the camp trying to get me over there. 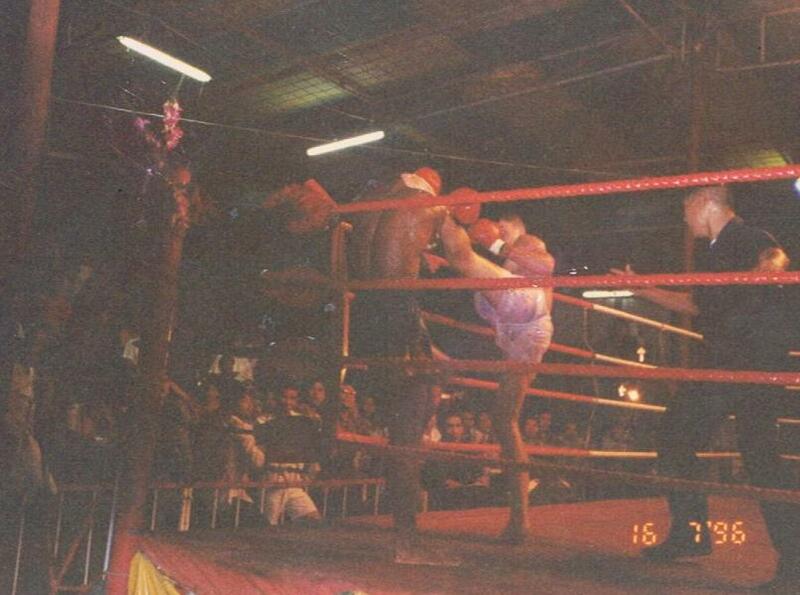 In 1998 I had my first fight against Kohi, K-1 max wasn’t around then and it was a pure Thai fight. 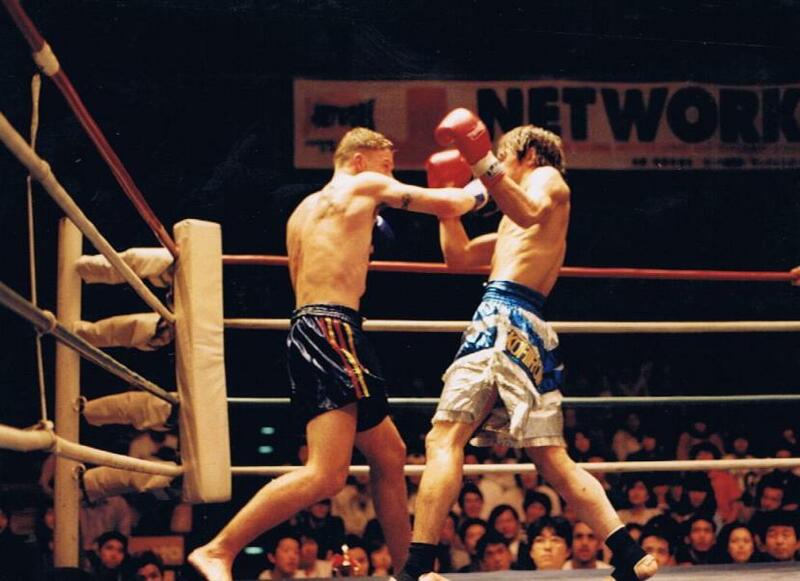 I beat him up pretty bad but he was tough, now I was starting to fight in Japan plus Thailand, life was good. 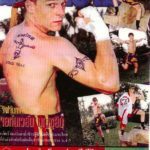 1999 I was doing so many things for Australian Muay Thai, no one even knew we did Muay Thai in Australia so people would be shocked to hear that was where I was from. 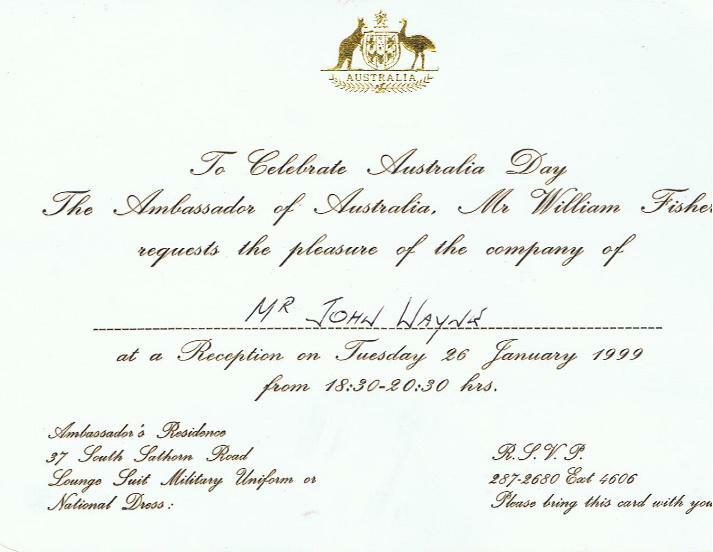 For Australia day that year I was invited to the Australian embassy by the ambassador, Sangtien, Shannon Forrester and myself got dressed up and went long, this was the most important event I had been too so was very flattered to be attending. 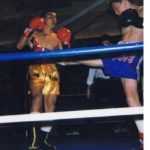 2001 I retired from the sport of Muay Thai and became a boxer, it was fun for a while and was lucky to be picked up by Bill Mordey straight away. Pretty much all my fights were on Foxsports and started to make a name pretty quickly. 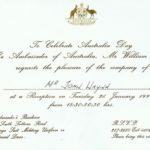 I was lucky to pick up a Australia title after 8 fights. 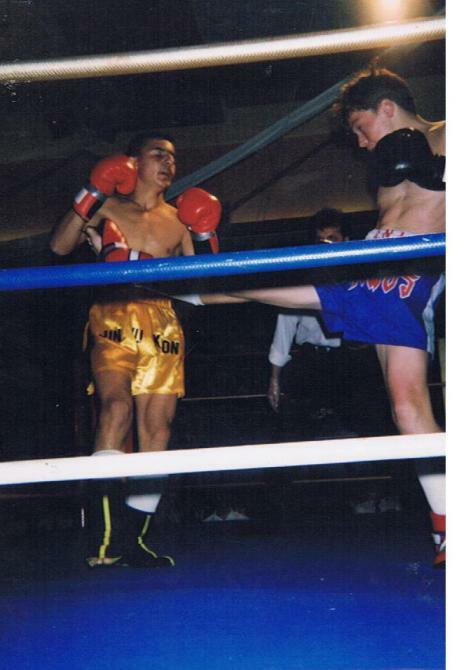 My ninth fight I was suppose to fight a 6 rounder against a boxer, when I arrived they asked me if I wanted to fight Nader Hamden over 12 for IBF pan pac title for twice the money and if I won I would go straight ot number 5 in the world. 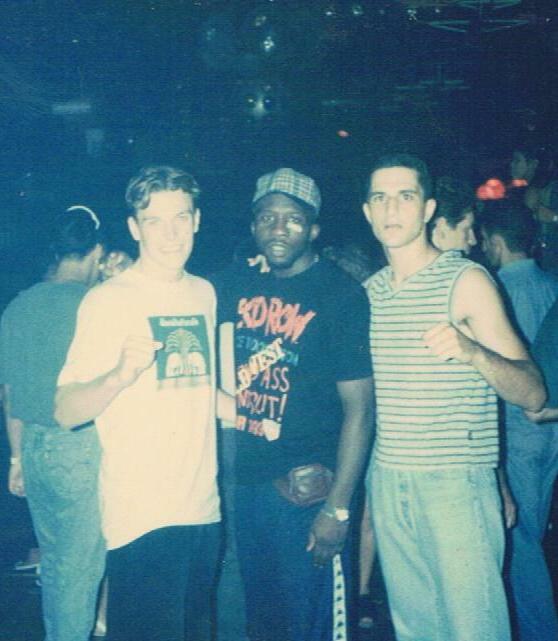 We had a 12 round war, I lost in a very close fight that many people believe I won. I ended up having a record of 13fight, 10 wins, 10ko’s. 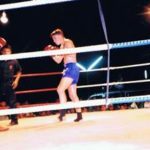 I came back to Muay Thai as boxing was starting to bore me, the training wasn’t as fun and I missed elbowing people in the face and kicking peoples insides in. I ended up moving to the States where I met my hugs and kisses Angie. I remember saying G’day to her then the next day she was pregnant ha ha, not really, but not far off either. Hasn’t been all easy sailing though, out of my 103 fights I have managed to pick up 225 stitches in my travels from fighting with elbows. I have no idea if this is a record for a westerner fighter but I reckon it would have to be close (took me a while to learn to keep my hands up, i learn the hard way). Once again, thank you for getting to this part of the story. As much as I have written there is also so much I have left out, I will save the rest for my book. “Not in a gay way.” Hehe lmao. I am loving these stories. Would like to hear more.